perhapablog... and other ramblings: OMG~! It's a NEW PERHAPA_POST~!! So, apparently it had been so long since I'd posted a new Perhapa-Blog, that I forgot how to do it. Really. I had to stop and remember the steps. Anyway, here I am...finally...with something to post about! 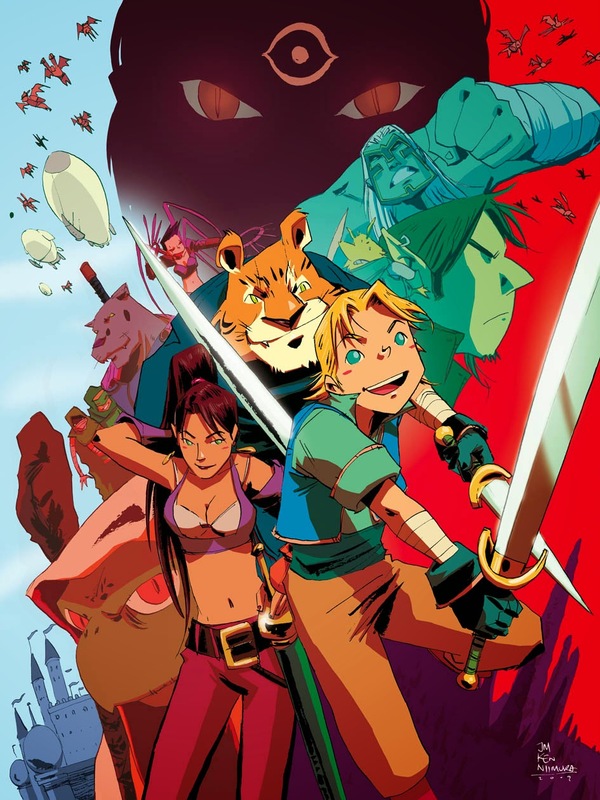 Craig and I, as usual, are headed to HeroesCon in Charlotte North Carolina this weekend where we'll have alla the Haps Trades and some other shaggy-shwag. We can't wait to see the always happy and, now, familiar faces of our friends and extended Perhapa-Family; hope to see YOU there too~! One of the big things that Craig and I will have at the show that is NOT Perhapa-oriented is something we're really proud of nonetheless. When our pal Mike passed away suddenly seven years ago, the internet swelled with works of gorgeous artworks by artists and friends expressing their sadness and sympathies. While a good number of them contained characters from many of the Marvel and DC titles Mike had worked on over the years, a select few featured the characters that Mike loved the most; the ones we had created in TELLOS. 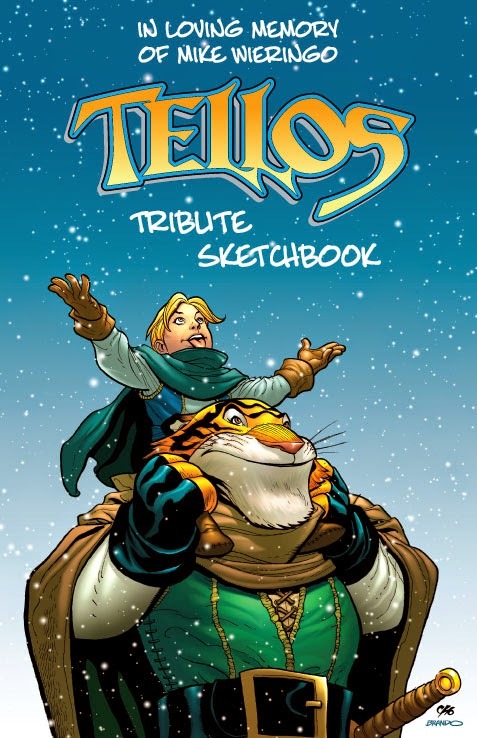 Now, finally, all these years later, Craig and I have put together a gallery of some of the finest pieces by some of the industry's finest artists in the MIKE WIERINGO TELLOS Tribute Sketchbook. The book features pieces by illustrators like Frank Cho, Brandon Peterson, Ryan Ottely, Denis Medri, David LaFuente, James Harrren, Andie Tong, Richard Case, Richard Pace, Karl Kesel, Paul Mounts, Rob Stull, Paul Renaud, Jim Valentino, J Ken Niimura, and many more...! We couldn't be happier with the way the book turned out and we hope that you'll think so too! Swing by the booth and take a look! Will the book be made available outside of conventions? I'd love a copy. Our initial run is not large, KyleReadsComics, but if it sells well and we need more, we will definitely make it available online sometime in the future. You guys are the greatest. Suze and I can't thank you enough. And I'm so glad you're posting again! More, please! You're probably travelling today, Todd, but I'm looking forward to seeing you guys tomorrow!